Meghan Markle, now the Duchess of Sussex, and Prince Harry may be royals, but they don't plan to give their unborn child any royal treatment. According to royal contributor Omid Scobie, the parents-to-be won't be spoiling their baby. Scobie explained to Us Weekly that while the strategy is unconventional for a royal family, the Duchess and Duke of Sussex are committed to raising "children who know the values of normal things in life." If by "normal things," they mean traveling the globe in designer clothes and living in a 21-room apartment in Kensington Palace, then sure, yeah, their kids will have totally average lives. As ludicrous as their plan may sound to us mere commoners (you know, the people who actually have to scrub their own toilets and grocery shop), Scobie says the royal couple truly is committed to giving the normal life a try. "Meghan will take her kids on a subway. They'll have chores and jobs one day," Scobie said. "They won't be spoiled." It's a noble mission, for sure, but please forgive me for being a wee bit skeptical. After all, before Meghan even started dating Prince Harry, she told Hello! Magazine about her plans to pass down her coveted Cartier watch to her future child. Now that she's officially royalty, she can easily have a custom wrist piece made at the snap of a finger. Still, we have no doubts the Duke and Duchess will raise intelligent, compassionate young humans. Meghan has a long history of charitable work, including her role as a global ambassador for World Vision and her advocacy for the United Nations, that she will undoubtedly continue alongside Prince Harry and their children. 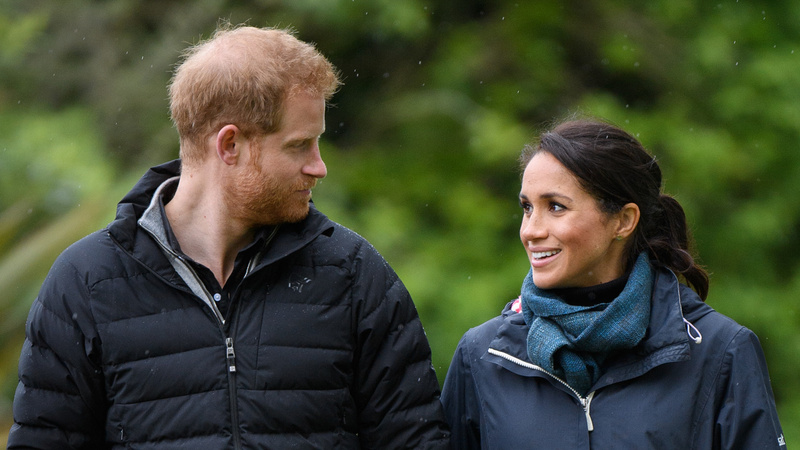 "Normal" or not, the royal couple has an exciting future ahead of them, and we can't wait to see all they accomplish.